In my role as IT/e-learning lead teacher I get lots of queries and requests for help. But two questions put to me this week got me thinking. Q1: "I am getting a lot of can’t send undeliverable messages-have been for over a week. On my class computer under outlook I have a whole lot of unsent because they won’t go. Could you have a look at some stage as my parent emails are not making it at times-even when reply to sender." Q2: "So, what amazing IT thing did you do in your class today?" These questions made initially made wonder how people actually envision my role. 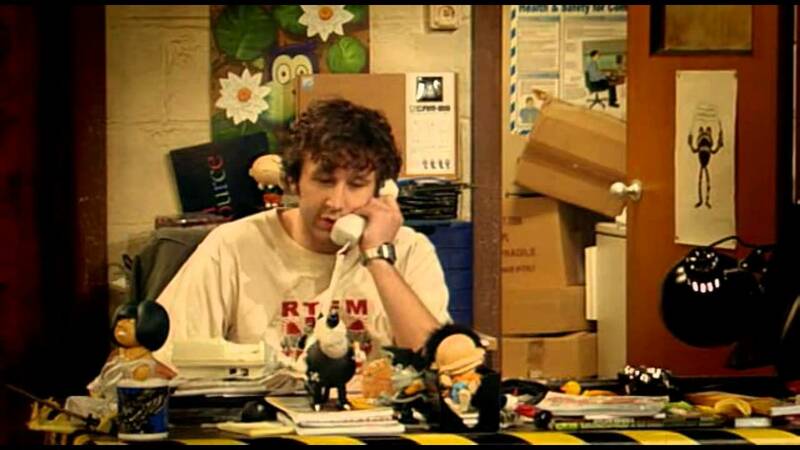 I'm either some form of e-Messiah, or this guy from the IT crowd. I don't want to be seen as either role really. I wonder about my role as I try to lead a shift into making our school a place where elearning is recognized and realised. Where I am responsible for lifting the capacity of all our staff, empowering them about technology and workflows. Where part of my role is to allow them to feel good about enthusing, as well as critically nurturing the students in their classroom, while selecting and using a diverse range of appropriate technologies. .
Where this shift with digital tools and elearning methods is about saying "this is how we do what we do", and it covers an organisational shift, that affects all staff, students and the parent community. That is about challenging and shifting mental models of what learning and school is and can be. More broadly though, it got me considering how some teachers (users?) only see the isolated state of their IT issue, and struggle with seeing that bigger picture of organisational shift. I guess this is the case with most folk, being the ego-centric individuals that we are. We have our eyes focused on what's really important to us, right now, and we need to get that issue fixed or resolved. Sometimes that means we don't see the bigger picture, or ignore how our decisions are impacting on other staff, or even our wider organisation. Finally, I reflected on how the framing of these two questions, reflect a really black and white view of shift. People seem to view this IT/technology/elearning thing as a linear progression. Traditionally we've delivered IT PD in this sense. Learn this tool - now you can deliver this outcome. I wonder if as a result of that our teachers need to have defined points of edu-tech shift and struggle to work in a state of shift. Which is ironic, because learning itself is a constant state of shift. Shift of course is a bit muddled and a bit grey and well... shifty. Somewhere along the line we've failed to pimp the product and the process properly. And the challenge here is to pimp the benefits of technology and its use, while being open to the pitfalls and pressures of that same technology. Is this state of affairs, a reflection of malaise or misunderstanding about the role of edu-tech in education, by those in our profession? Is it the fault of those who lead this edu-tech shift, and how they have often self-servingly promoted this technology itself as "amazing", instead of the process that the technology engenders. Is it the the fault of the edu-tech twitterazi, who can quite literally insist on leaving those who don't use technology behind, irrespective of the value those people bring to the educational and learning environment? Is it the fault of a culture that is a slave to the shiny and the amazing, and not so much to the soft, systematic, enduring power of becoming better. As the man said, pimpin ain't easy.